This customer contacted us after his gardener had attempted a moss control treatment, which left black lines in the lawn. We adjusted the ingredients for our Spring feed to heal grass-leaf damage as soon as possible. 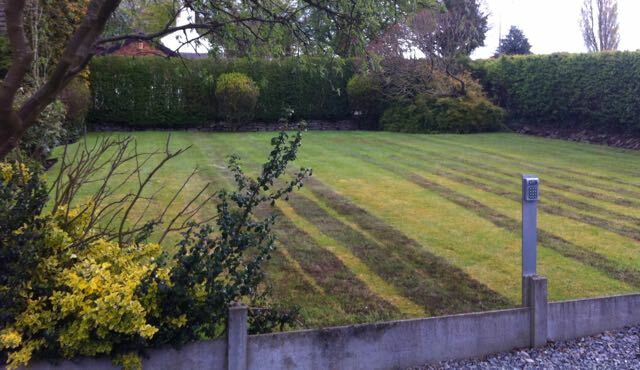 We returned 8 weeks later to find a very happy customer and a beautiful lawn. When we started treating this lawn, it was already well-maintained with weekly mowing and the occasional “off-the-shelf” feed. We analysed the soil, assessed the grass and recommended the Gold Package which quickly produced results but left moss in the lawn until scarification season. This image is the result after 2 treatments, a scarification and a bit of sunshine. Always a great service. Effective treatment and friendly helpful advice with each visit. Excellent communication with regular texts before treatments are due. 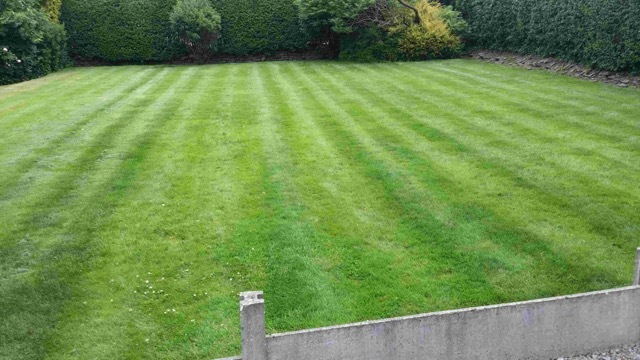 Received numerous positive comments on the quality of my lawn, comes highly recommended.